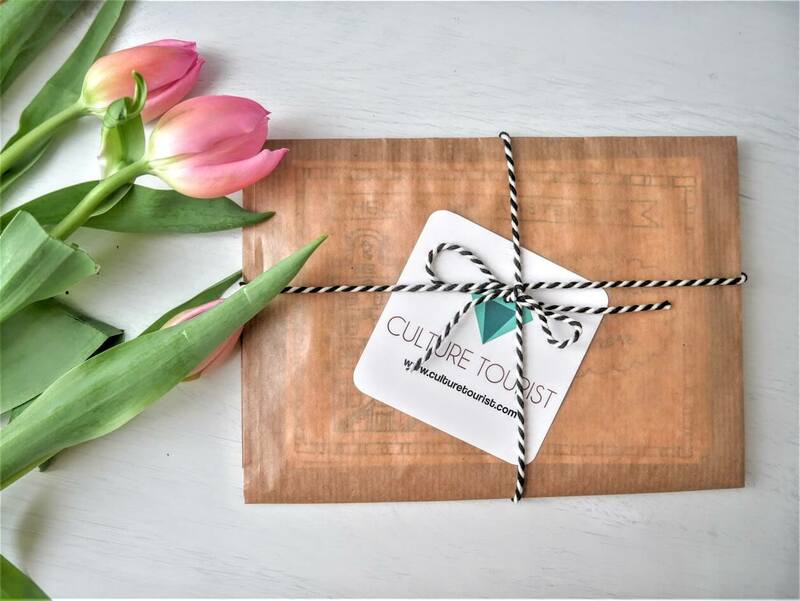 As you know, here at the Culture Tourist, we’re all about combining art and travel together. Well, after I’ve got such a nice feedback regarding my Christmas cards inspired by Amsterdam I’ve decided to introduce ‘Products‘ as a new feature on the blog. And I’m very excited about that! All of our products will be created by me or in a collaboration with other artists. And you’ll be able to order any of them at our web shop! 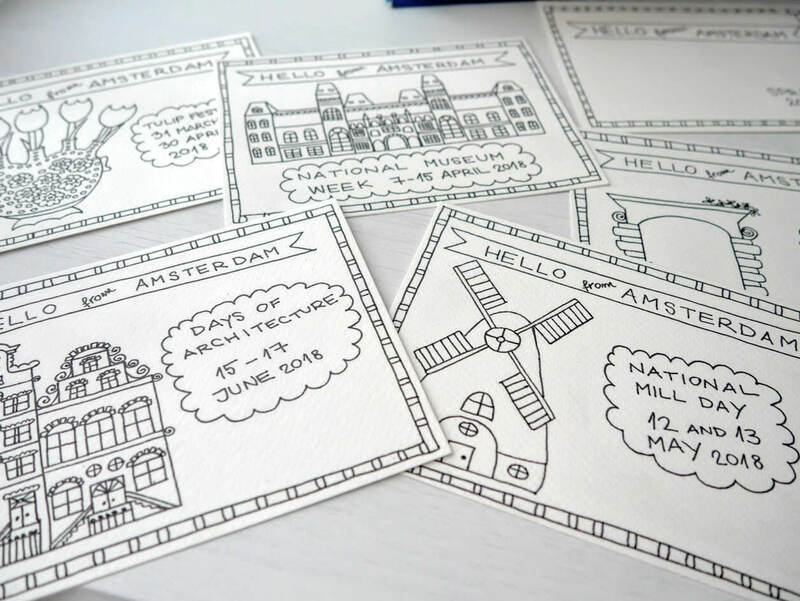 The first product that will be available in the Culture Tourist Web Shop are Amsterdam Colouring Postcards inspired by events that will be organised during this spring in the city. Well, let’s start with the story behind these postcards first. To me, it’s always hard to find unique, good quality souvenirs with an interesting story behind them when I’m travelling. I’m always looking for something with a beautiful and unique design. 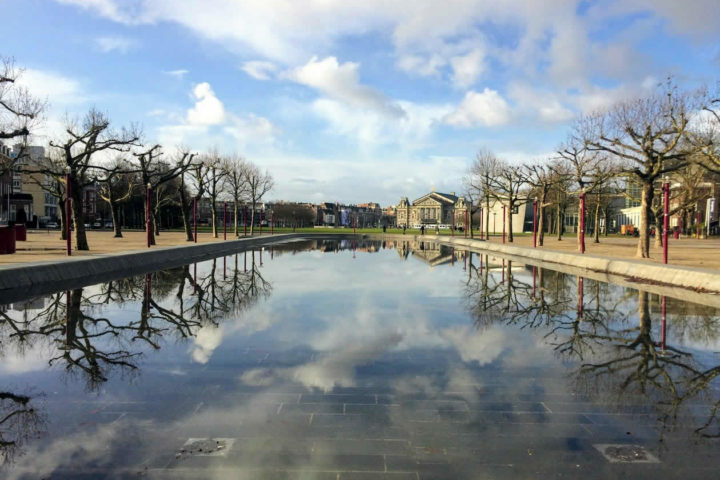 But also for something showing the city’s soul. Something that’s representing it. Or something that will remind me of it. That’s why I’ve designed and drew these Colouring Postcards. My focus was on a clean design (so they could be coloured and adjusted to your own taste). 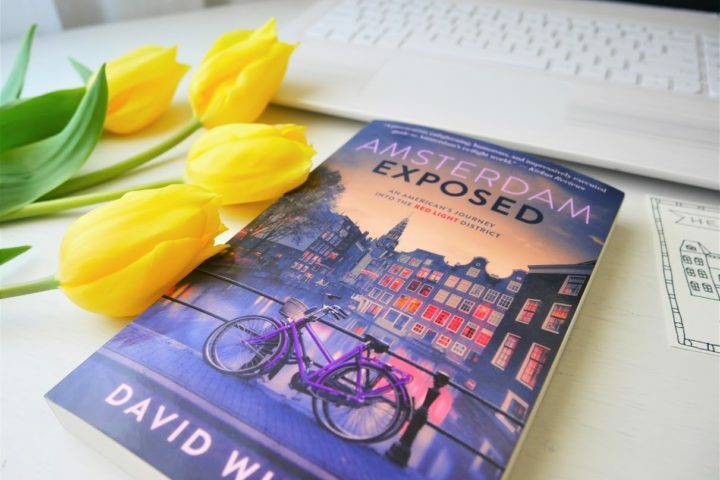 But they are also informative and you’re going to learn about cultural events happening in Amsterdam during this spring. 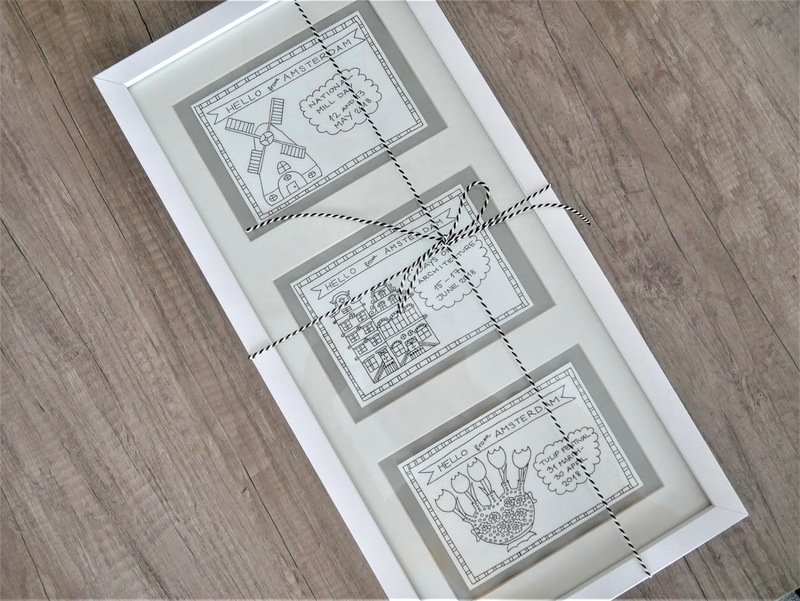 All the small business involved in their production are based in the Netherlands (from the art supply shop, printing company to the producer). Well, we’re promoting cultural tourism as always! They have been printed on a special paper that is solid enough for postcards. But that can also be coloured with crayons. 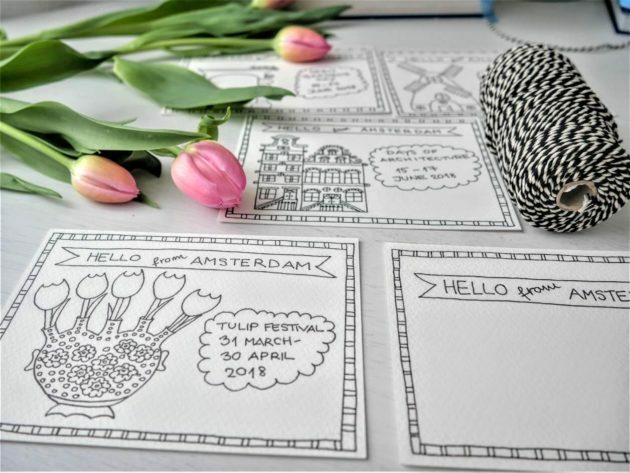 Once you’ll get your postcards you can customize them, choose the colours you like the most and create your own perfect postcards inspired by a spring in Amsterdam. You don’t have to send them at all in the end. You can frame them and keep them for yourself (at least that’s what I did). 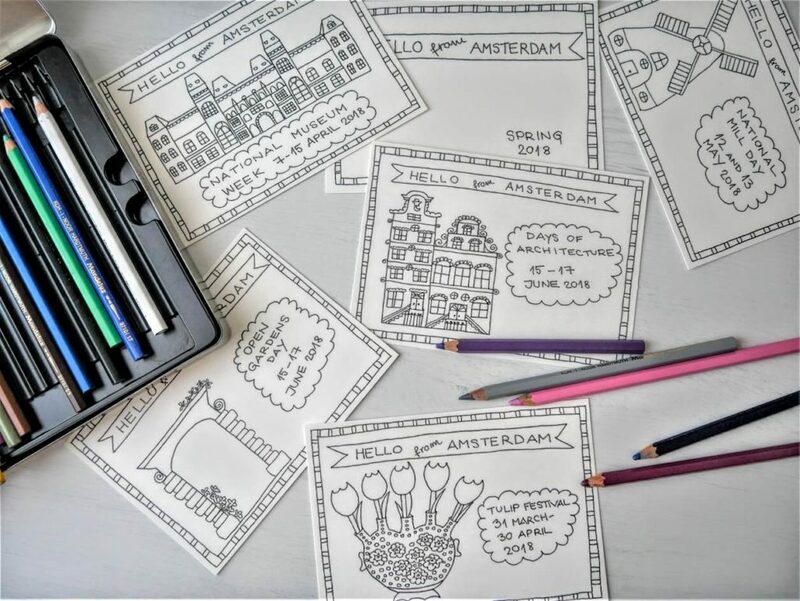 If you would like to order one of our Amsterdam Colouring Postcards sets you can visit Culture Tourist’s Web Shop and check out prices, more detailed photos and availability there. If you’ll have any questions about them, feel free to contact me! 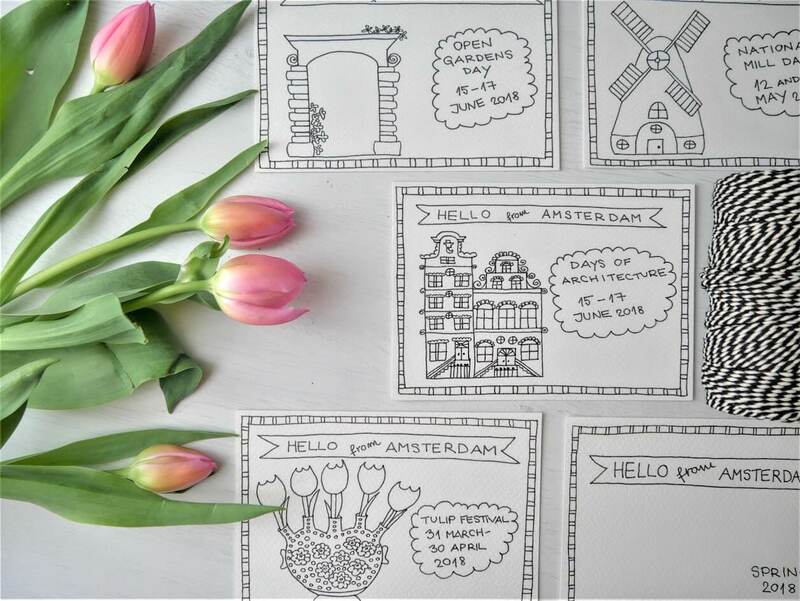 How do you like our Amsterdam Colouring Postcards? Which one is your favourite? What a great idea. They are so cute Tea! Did you do the drawings? I feel the same way regarding souvenirs from my travels. They need to be small and unique, and I always try to search for local handmade products. Thank you so much Alison! That was my idea as well. Yes, I made the drawings 🙂 And was enjoying so much in making them that I’m planning to do more of them in a future. I’m very glad you like them!